We are greatly honored to have this opportunity to show you our strong products on audio film capacitors, including JFX, JSX and JPX. To work effectively with diverse clients, we update our products step by step. jb audio film capacitors are very excellent replacements of Mundorf, Auricap, Solen, ERSE, etc…but more importantly is prices are much more competitive! We provide free samples and very low MOQ. 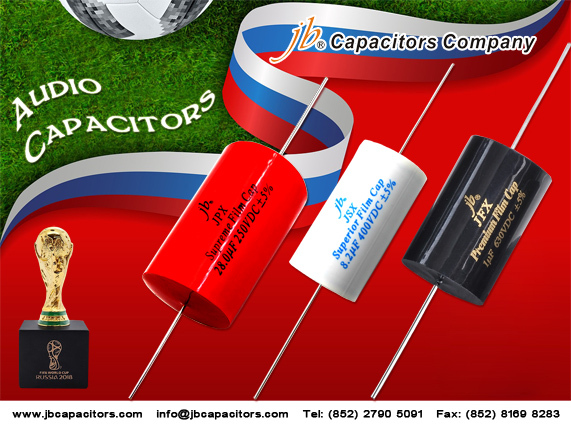 You are deserved to try jb capacitors. Your satisfaction is our pursuit. You know that we have JFX and JSX for using in audio equipment. 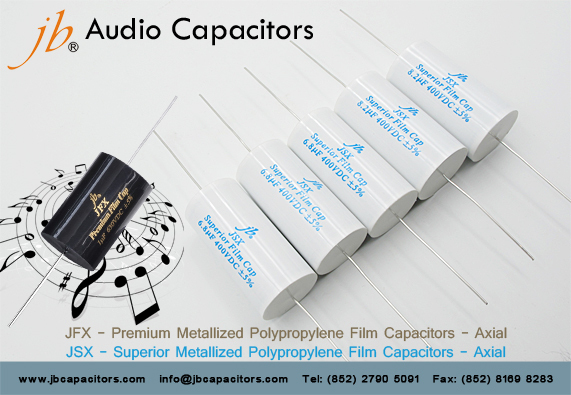 We also have another capacitors that is good in audio equipment field. JNE is our strong product and popular in making audio application. It can also present awesome sound performance to you. If you have any interest in our JNE series, you can place a trial order or ask some samples from us. You also can know more about our JNE through the link below. As you know, Audio series are jb very strong and popular series. We receive lots of re-orders every year from famous audio equipment manufactures. Due to we received numerous customers support and expectations, we have extended a new audio series in response to market demand. 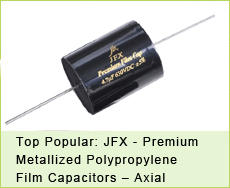 JPX is supreme type audio capacitors, excellent sound performance for sure. it is the best audio capacitors in China market! In order to win your trust, we can offer with low MOQ and competitive price. If you are looking for high quality Audio capacitors, please don't miss this good opportunity! 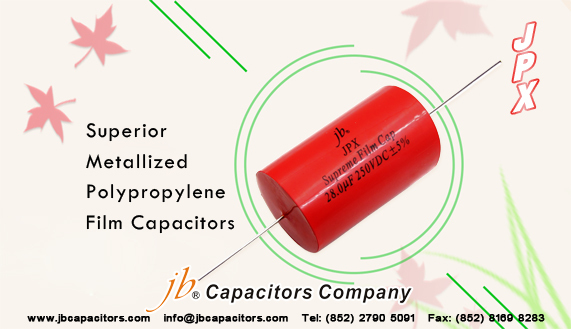 This is our honor to introduce you this kind of capacitors. 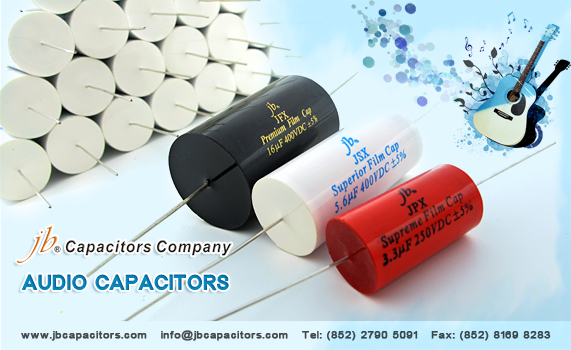 We have extensive experience in the fields of producing capacitors. We always offer good price with stable quality. Now, we have extended our products. JPX is newly in our Axial products. You may hear about our JFX and JSX series before. They have good reputation among EU market. We provide JPX with high quality and it can also deliver more perfect sound quality. Would you like to send me some inquiry? Don’t hesitate, just mail us! Did you heard Smart Speaker? Smart Speaker is a built in artificial intelligence Voice Assistant Speaker, it can use enter features via voice to control home appliances and App. It has started popular since end of 2017 year, even more is one of hot subject in CES exhibition 2018. Google、Amazon and Samsung have published their new products of Smart Speaker. Manufacturers, are you ready to participate this field? 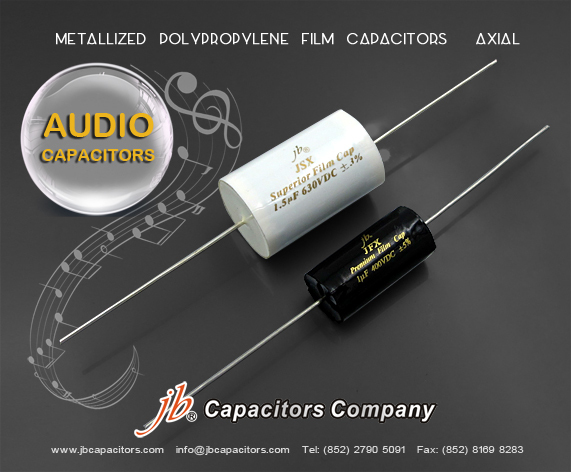 jb Capacitors are ready to support professional and high quality audio capacitors for you! 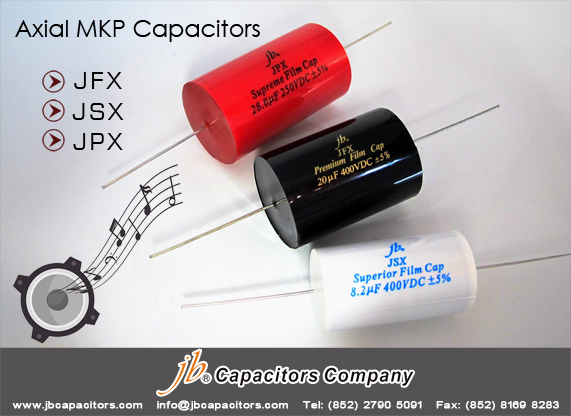 The JFX / JSX audio capacitor is an excellent replacement for ERSE, Mundorf - MCAP MKP, Jantzen Audio, Mallory, BENNIC, SCR / SOLEN, Auricap, INTERTECHNIK, Ampohm serial audio etc. It can deliver perfect sound performance for sure! Welcome to send me your exact order or order FREE SAMPLES! 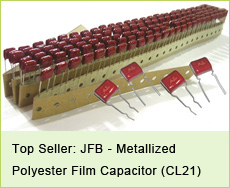 As you know, we provide many new kinds of audio capacitors. But the most popular ones are our JFX and JSX series. 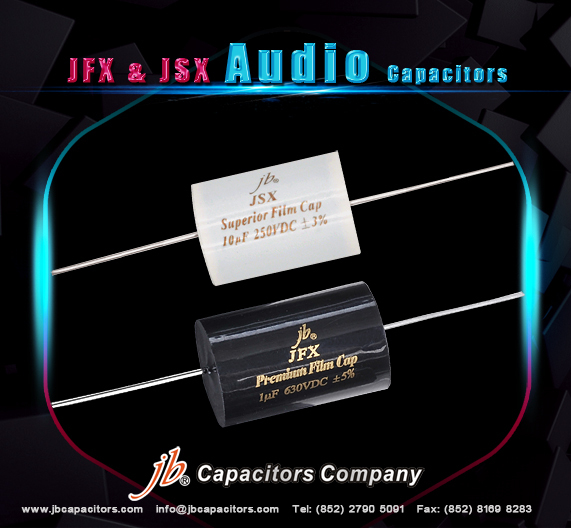 JFX / JSX audio capacitor is an excellent replacement of ERSE, Mundorf - MCAP MKP, Jantzen Audio, Mallory, BENNIC, SCR / SOLEN, Auricap, INTERTECHNIK, Ampohm audio seriesetc. It can deliver to you perfect sound performance for sure! Welcome to send me your exact inquiry or ask for FREE SAMPLES! You may know we produce lots of capacitors. Their performance are well in every field. Today, I am going to introduce one kind of capacitor. They have good reputation in making audio equipment – JFX and JSX. We have many manufacturers and distributors reorder every year. 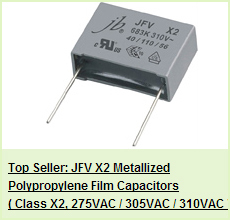 If you are willing to know more about our JFX and JSX audio capacitor, please feel free to get on our website. There is more information you can find. Or just send us a mail we will be glad to help you find the most suitable capacitors for you. 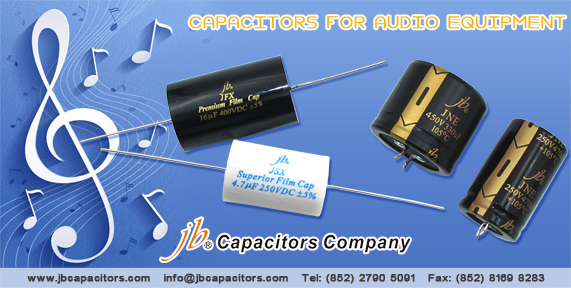 jb JFX & JSX Audio Capacitors, Crossover Capacitor, Loudspeaker Capacitor, Amplifier Capacitor. 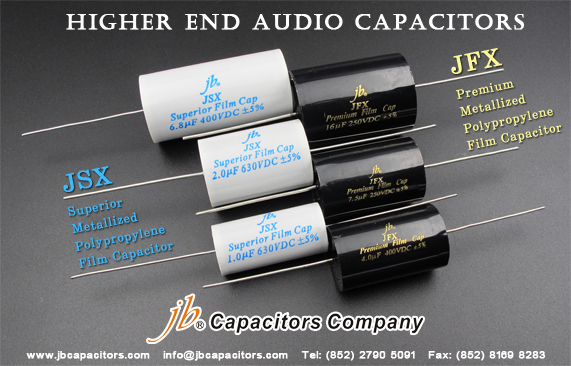 Audio Specialist please come to check our JFX / JSX High end audio capacitors. Smooth and Soft Sound, You will get deeply impression with listening the music using our JFX, JSX. We have good price support on JFX, JSX series in this and next month. why you keep waiting now? just send us your RFQ, let us quote for you. MOQ: 100pcs each, and big value can even offer lower quantity. Some items we have stock, if you have urgent order, we may can give you good support.